Typical Applications for the Brecknell B240 are counting coins or tokens, Light Industrial counting applications and Part Counting. 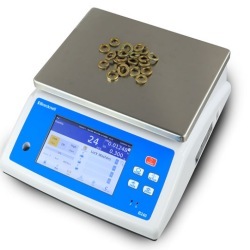 The B240 Counting Scale from Brecknell provides an easy to use sampling process to deliver accurate samples, saving you time and money. 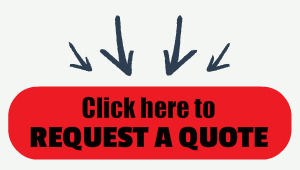 The built-in database allows fast recall of already stored piece weights and other part number data at your fingertips. The B240 features a 7" color graphic touch screen display provides the operator with a fast, visual method of showing when the correct quantity of parts is in the accept range. By tapping on the screen, the display is maximized for even better visibility. The display visibly shows the operator if the parts are in the accept range by the color of the screen – orange for low, green for ok, and red for high. The check counting and accumulation function aid in the speed and accuracy of counting identical parts with standard box quantities and provides a running total for large quantities of parts. The scale operates on an AC adapter along with a built-in rechargeable battery that provides up to four hours of battery life between charges. The B240, available from Central Carolina Scale, is the perfect solution for shipping/receiving, warehouse or assembly lines where inventory control is essential. The Brecknell B240 Counting Scale is ideal for use in any busy receiving/shipping, warehouse or assembly areas. Mainly designed for counting, the B240 provides an easy-to-use sampling process to deliver highly accurate sampling, along with a built-in database for fast recall of already stored piece weights and other part number data. The B240 offers a range of fast sampling routines to meet most operators’ requirements. Sampling routines like auto piece weight updates, which allows you to keep adding parts to a sample to build up a more accurate piece weight. Check Counting: Designed for speed and efficiency, the B240 is ideal for applications where parts are regularly packed to standard box quantities. The color touch screen display provides the operator with a fast and easy visual to indicate when the correct quantity of parts is in the accept range. By tapping the screen, the display is maximized for even better visibility. Accumulation: The B240 has the ability to easily accumulate counted parts to give a running total, which is ideal when large quantities of parts are being counted The base is constructed of ABS plastic, which provides outstanding protection for daily weight usage and is fitted with a removable stainless steel pan. AC and battery powered, the B240 comes standard with an internal rechargeable lead acid battery that will provide around four hours of battery life - ideal for areas where power outlets are limited. This information was correct at the time of entry, however we reserve the right to alter without notice the specification, design, price or conditions of supply of any product or service at any time.